Save up to 70% on AA batteries, rechargeables, hearing aid batteries, CR2032s and watch batteries. Battery Market UK has been designed so you can find the batteries you want quickly and at the best prices. Imagine you are looking for an AA battery? Just roll over the Battery Size option in the menu and you’ll see all the AA batteries we have in stock, plus the great discounts available when you buy online today. Remember to check out our daily promotions and bulk buy savings. Looking for a replacement watch battery instead? Just choose Battery Type from the main menu. You’ll also find our hearing aid batteries and rechargeable batteries here too. And if you have a particular brand in mind, we can help with that too. By choosing the Manufacturer you are one click away from all our finding Duracell, Energizer, Panasonic, Eveready, Sony, Rayovac, Uniross and many more. We offer free UK delivery on all batteries orders over £20 and use reputable courier services with a proven track record. Your batteries will be delivered in the right place at the right time. If you need to return batteries, we offer a no nonsense return policy. Simply return them within seven days. Check out our return policy page for further details. Why buy from batteries online from us? Unrivalled friendly service to help you buy the best batteries. At Battery Market there is no minimum order. Our purpose is to save you money. 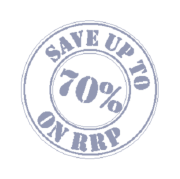 Take advantage of our fantastic multi-buy battery deals and promotions and you could save up to 70% compared to supermarket prices. We accept payment by all major credit/debit cards, Paypal or cheque. Have you a purchase order? Please read more here. If you are unable to find your battery savings using battery search, give us a call 01360 316021 between 9am and 5pm, Monday to Friday, or email us at sales@batterymarket.co.uk.